Proudly Australian owned and operated, currently based out of Holdfast Bay, Adelaide’s beachside neighbourhood. We are a mobile business frequently serving the masses along the beach bike path at John Miller Reserve via our custom-built tricycle, powered by sustainable means. The trike itself has been inspired by our LOVE of early 20th Century American boardwalk culture. We also participate in local events that promote community development within the city, as well as supporting the local artisans that we believe in. From our daily coffee service, to special events and collaborative projects, we curate opportunities that allow community to happen naturally. For us, it happens most naturally over a cup of coffee. So, whether it be around the table, at the bar, in the open air, or collaborating on a special project, we can share these moments with the people around us, in order that they may be more fully enjoyed. Our purpose is to deliver excellence in everything that we do. Offering only the finest ingredients and processes for the community, our commitment to quality begins with the coffee seed and continues beyond your empty cup. We’re redefining what excellence looks like; from your choice of beverage, to what sits on your plate. Our heartbeat has always been in stride with our desire to be a benefit to our community. We want to create a movement of people helping themselves and the world around them; Inspiring people to do what inspires them, so together we can change the world! Welcome to ~ Coffee Art Culture Reimagined. We know we cannot do everything on our own, so we’ve partnered with skilled artisans who execute their craft with the utmost attention to detail. Whether that’s in the form of coffee, tea or artisan goods, we value and serve only the freshest, highest quality products. The world contains a finite amount of resources. When we use too much, the ecological balance is thrown out. Human beings have an enormous influence on the world. We’ve achieved many amazing things during our time on Earth, but this has come at a cost. In recent times, we’ve started taking vital steps towards managing our impact. Sustainable processes work to restore balance, World Leaders and Governments have identified the problem, however there are small changes we can all make. We’ll show you lots of everyday things you can do to help and just how easy it can be to bring a little bit of sustainability into your life. 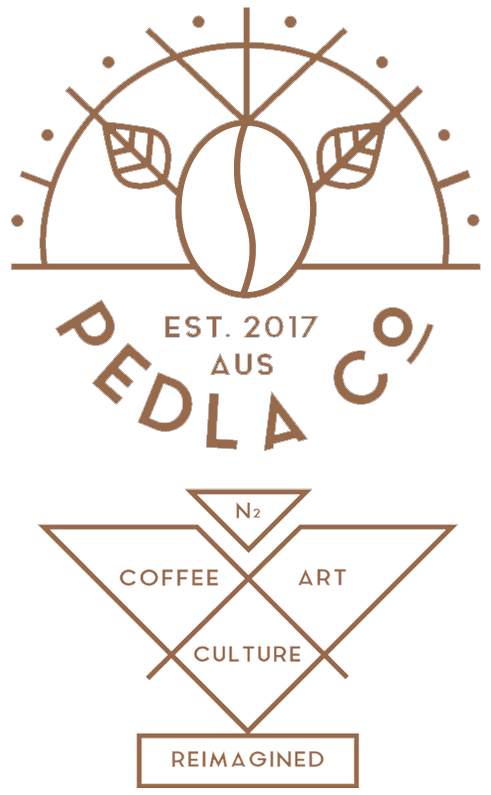 PEDLA Co. Is pleased to partner with and foster StreetSmart and OzHarvest, Organization’s that are doing wonderful work in our community. StreetSmart believe change needs a whole of community approach. Through the StreetSmart Collective they partner with like-minded philanthropists, Trust and Foundations and Corporates to effectively target and tackle homelessness and domestic violence across local communities. OzHarvest is Australia’s leading food rescue organisation, collecting quality excess food from commercial outlets and delivering it directly to more than 1000 charities supporting people in need across the country. In addition to practicing sustainability in all aspects of our business, we believe in going a step further and actively seeking ways to share the LOVE. Not only do we support these causes financially, but we also give our time and energy on a personal level. We would LOVE it if you could take a moment to get to know them for yourself and what they’re about. There are a few organizations that were in involved in this collaborative effort that deserve some special thanks! We would LOVE it if you take a moment to get to know them for yourself and what they’re about.